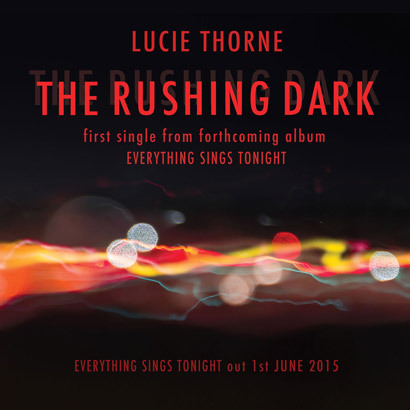 Described as “Australia’s PJ Harvey… possessing the punch of Cat Power and the wise words of Joni Mitchell” (Courier Mail), Lucie Thorne has earned her place as one of the most striking lyricists and voices of Australian contemporary song. 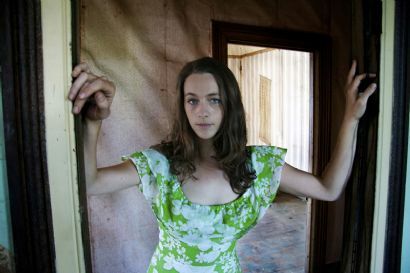 Her latest release, Black Across The Field, has garnered extraordinary attention from the country's leading critics, including being awarded ‘Best Roots Album of 2009’ in The Sydney Morning Herald, and was Short Listed for the prestigious Australian Music Prize. Black Across The Field combines Thorne’s spacious, gritty rock n roll, and startlingly original dark-folk, with that signature warmth and intimacy for which her live shows have become so renowned. Like the best writers, Thorne uses her songs to distil the poetic from the everyday, and each new song opens onto an unlikely world of characters and emotions. From the dark childhood visions of Alice underpinned by swelling rock guitars, the hopeful girl-in-the-crowd dreaminess of When The Lights Go Down, through to the melodic pop defiance of The Basic Rules, Thorne’s songs are compelling in their intimacy. It’s this breadth and depth of writing that makes Black Across The Field feel a little like a favourite book: the moment you finish, you want to read it again from the beginning. And throughout these narratives there’s that voice – a voice that draws you in, and makes you lean closer. As Bernard Zuel (SMH) writes, this is a voice of “languidness and urgency” that bristles with undeniable authenticity. Black Across The Field was recorded during the winter and spring of 2008. After demo-ing many of the songs at home, Lucie was introduced to legendary drummer Hamish Stuart, and that’s when things started to shift. Stuart and Thorne then joined forces with bass player Dave Symes (Sarah Blasko, Missy Higgins, Sleepy Jackson) and with the three of them deciding to co-produce the album, the chemistry of Black Across The Field was born. Most of the album was tracked live in a Sydney studio in just three days. Lucie then took the sessions home to her cottage on the far south coast, and let the songs grow from there. Inspired to continue expanding her horizons, Lucie invited some of her other favourite musicians to guest on the record. To her delight, they were as keen as Stuart and Symes to be involved – resulting in stunning cameo performances by stellar heavyweights Chris Abrahams on piano, and Stephen Magnusson on guitars. The finished product is an extraordinary collaboration. The strength and substance of Thorne’s unique voice and songwriting are primary, traversing soundscapes that are as sensitive and beautiful on some tracks as they are dark and foreboding on others. Black Across The Field brings to mind the cycling sparseness and biting slow rock of Low and Sun Kil Moon, the punch and sexiness of Cat Power, and the poetic simplicity of Will Oldham.